Michael Woodward is the founder and CEO of jumbleThink. 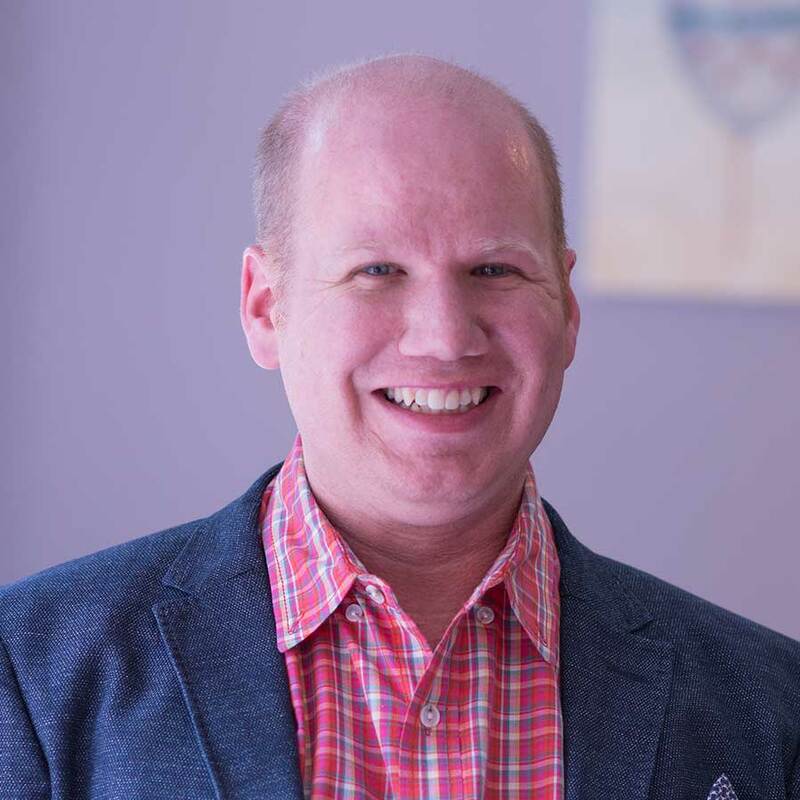 Prior to starting jumbleThink, Mike and his company, Woodward Design Group, was “responsible” for building more than 400 websites and web applications for clients ranging from small local businesses to Fortune 100 corporations. He also taught courses on web design/development and marketing strategies and has consulted with businesses through the Small Business Development Council in Butte County, California. His passion has always been to help individuals and businesses make their dreams attainable through creative thinking/idea formation and strategy. And using his experience in working with clients and teaching courses, he launched jumbleThink in 2017, with the purpose of “helping Dreamers, Makers, Innovators, and Influencers dream big and to refine their ideas”. The podcast features all kind of guests, from authors, business owners and executives to filmmakers and politicians, who all share their stories and provide tips on how other people can achieve their goals and dreams. Besides his work, Michael’s passions include New York City (he lives pretty close, in Pennsylvania), playing guitar, running and, of course, reading. In the interview with us, he talks about the book that had the biggest impact on his life, by challenging him to not settle for an ordinary life, how he learned to process difficult experience by reading a book about biblical figures and what he thinks is the best way to take notes and remember key concepts. What’s your favorite book and why? Business and non-business, if possible. There are so many great books out there. My favorite often changes, but right now here are the two that jump out to me. Business book: Heretics to Heroes by Cort Dial – This book is Cort’s memoir. Through it, he tells his story of working in the corporate world and then starting his own entrepreneurial journey. I love this book because he is intentional not only to tell his story but to give lessons you can apply to your own life while telling those stories. The core message of the book is on leadership. Non-business book: The Dream Giver by Bruce Wilkinson – This book is about chasing dreams and ideas. It is an allegory that shares the story of the main character named ‘Ordinary’. Ordinary chooses to leave the land of familiar to pursue his big dream. The book does a great job of walking those with big ideas and dreams through the process of making that a reality. This is a book that I read every year. It reminds me of why I’m on the journey to help others chase their big ideas and dreams. Was there a moment, specifically, when something you read in a book helped you? Can you tell me about it? I try to read books that are relevant to current challenges or topics that interest me. So if I’m not resonating with a book or it’s not helping me, I usually put it down and move on. I try to go back and try the book again to give it another shot a few months later. As for a specific book and moment…I would say ‘A Tale of Three Kings by Gene Edwards’. This book is about biblical figures David, Saul, and Absalom. It talks about brokenness, following others leadership, and how to deal with authority. It helped me process some difficult experiences working in Churches. It also helped me to really think about how I treat others when I’m leading or working with them as a business owner. Enjoying this interview? If you want more interesting stuff related to books & business, subscribe to our weekly newsletter. Find out more here. I would have to go back to ‘The Dream Giver by Bruce Wilkinson’. This book has impacted my life most significantly by challenging me to not settle for an ordinary life, but to live an extraordinary life. It encourages me on that journey to keep going and push forward when things are difficult. This book illustrates what it means to live a life that is intentional and filled with purpose. The other book that specifically had a lot of impact on my career path would be Now, Discover Your Strengths (better known as ‘Strength Finder’). All big ideas, dreams, and careers filled with fulfillment start with a simple journey of understanding yourself. Having a foundation of self-identity and understanding yourself is critical on a successful career. Strength Finder is an amazing tool to help you on that journey of understanding yourself. The book is easy to understand and gives you valuable information and insights into yourself. That makes this book one of the most powerful tools in the world of business and career. What books would you recommend to youngsters interested in your professional path? Why? 1) Strength Finder (Now Discover Your Strengths) – Understanding one’s identity, how you think, and your strengths will be powerful tools as you build your career. This book will help you on that journey. 2) The Dream Giver by Bruce Wilkinson – This book will help you in the journey as you discover your path forward. Knowing the challenges and obstacles you will face on your journey is an amazing gift to help you be prepared as you step into a career. 3) Born For This by Chris Guillebeau – There is nothing better than doing what you were born or created to do. This book is all about that journey of learning what you were born to do. 4) The Bible – Why the Bible you might ask. There are tons of lessons one can learn about character and living life well. These principles will help you on your career path journey. You can learn about how to do things well and how to do things poorly in the Bible. The Bible can encourage you when things get rough or keep you humble when things are great. The principles in this book can be the foundation for a life well lived. If you are living well then your career can flourish. I’m interested in finding out more about your reading habits. How often do you read? In what format? I try to read 1 – 2 books per month. There are seasons where I read more and other times I read less. I prefer to read physical books. I’ve tried the e-book think and it just didn’t work for me. I haven’t tried audio books because if I’m listening to something it will either be music or podcasts. I try to read in a quiet environment. If I can’t control the environment, I will usually toss on headphones to block out the world. I like to read to clear stopping points in the book. This helps me digest ideas shared at a clear finishing point until I move on. If I’m really into a book or learning from it, I may take notes on my computer (or in a paper notebook). I don’t often refer back to those notes, but it does help to solidify the concepts in my mind. Books that impact me I keep around. Books that didn’t leave a lasting impact are usually given away or sold. How do you make time for reading? I usually make time to read by either blocking time into my work day (the power of being a business owner) or late at night when the family is sleeping. I find when I can fit it into my busy schedule and then I’m intentional about making it happen. Do you take notes or have any other technique for conquering the torrent of information? I do take notes on books that are specifically impacting me, but typically I do not take notes. What I often do is write down key concepts as I go through the book. I keep that single sheet of notes on my desk and reflect on those concepts as I work. Eventually, I either toss those notes away or file them away for later. Typically things that are significant to me will stick in my memory and I can refer back to the book later to refresh deeper. How do you choose what books to read next? There are a few ways that I pick books. First I try to find books that are relevant to topics or challenges that I’m currently facing. This helps me to apply the content in real time. Next, I try to find books that cover topics I may want to cover on my podcast. I also try to go back to authors that I enjoy and read more from them. Some of my favorite are Erwin McManus, A.W. Tozer, C.S. Lewis and Malcolm Gladwell. I know that if just need a book to challenge me (but I will enjoy) that I can go back to these authors time and time again. Lastly, I read books that are recommended a few times by various people. I know that if multiple people are being impacted by them…then they most likely will impact me. Do you prioritize the books recommended by certain people? Is there anyone that you consider a book-recommendations guru? There aren’t specific people that I follow or look to find out what they are reading. Mostly if the people that are in my immediate sphere are digging something, I will try to check it out too. Last question: what book are you currently reading and what are you expecting to gain from it? I’m currently reading Not Like Me by Eric Bryant. The book is all about learning to love, serve, and influence others who are not like you. It’s all about healing a divided world. The book has been really great so far and gives some practical insights about diversity, building relationships with people unlike yourself, and ultimately how to value others that you don’t understand. It’s a powerful book and I think it’s really powerful for the crazy stuff going on the world around us.